Hi guys! 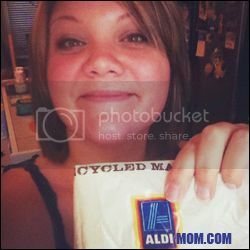 I am curious about how new shoppers felt during their first shopping trip at ALDI. If your first trip was in 2012, and you would like to contribute to the blog by answering 12 questions about your first trip, shoot me a Facebook message or an email to TheAldiMom@yahoo.com. If you have a website or blog, I will link back to it. Also, you can optionally include a photo of you and your family. Also, if you have any ideas for an interesting post, I would love to hear them! Thanks! I mean, what you say is fundamental and everything. But imagine if you added some great visuals or videos to give your posts more, "pop"!